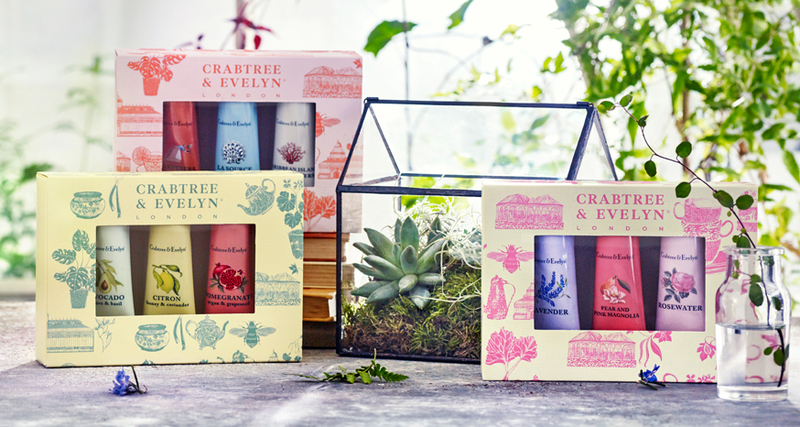 If you know someone who is obsessed with turning back the hands of time when it comes to dry sensitive skin, then Crabtree & Evelyn has just the present for them! 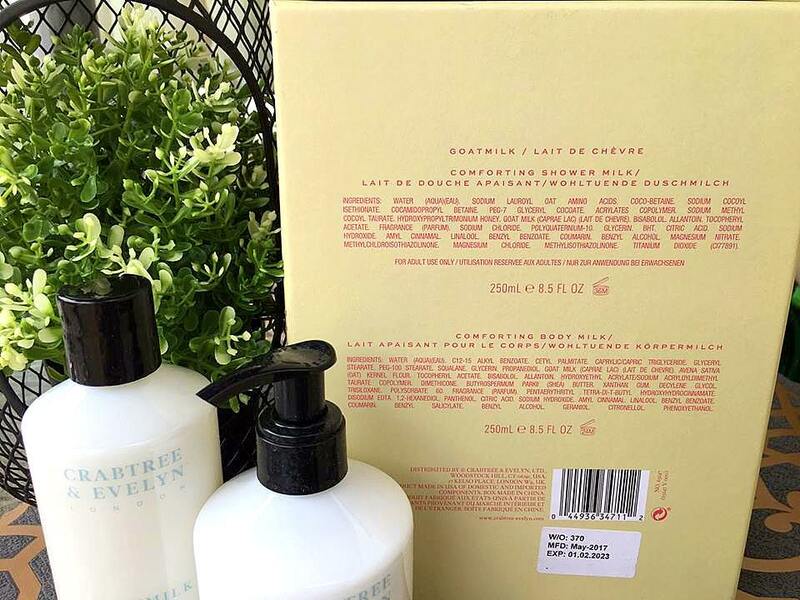 All of Crabtree & Evelyn’s summer gift sets are beautifully draped in different prints and are bound to make ones day. I am in Love with Josey Shenoy’s vintage but very British illustrations made up of glasshouses, flowers, bees, plants and my absolute favourite - afternoon tea (nom nom). 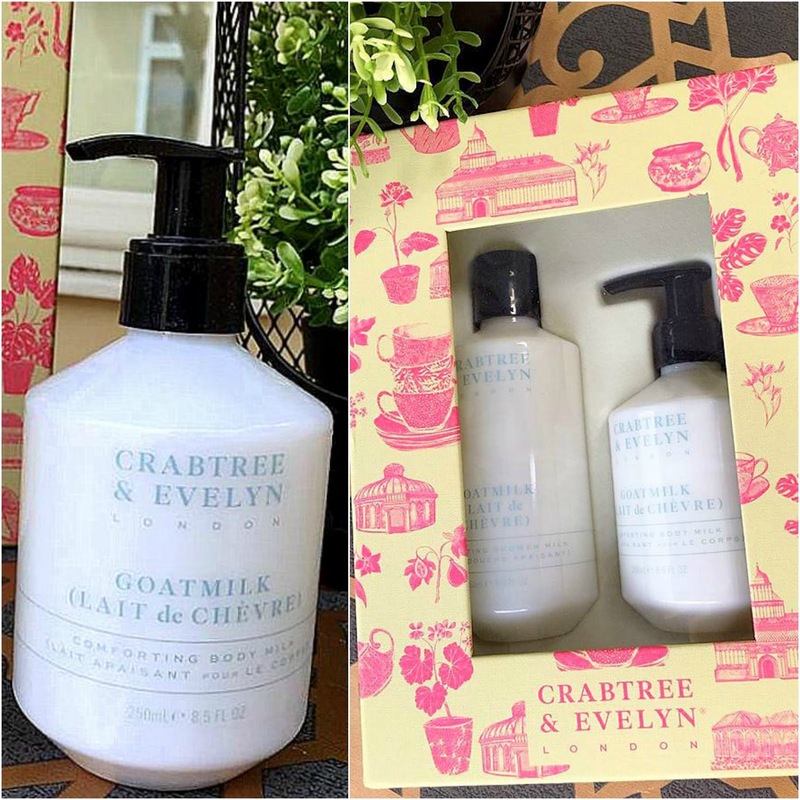 Draped in a beige and pink vintage floral tea cup print comes Goat’s Milk Shower Cream and Body Milk. I was of course intrigued by this Egyptian inspired goat milk concoction, milk being Cleopatra's beauty staple. To my surprise, both the milk products are very perfumed, to mask the free-range, goat milk smell I suppose? The white shower milk is light and fluffy, creating a cottony, milky foam. My skin felt hydrated and soft after use. I followed it with the body milk, applying a thin layer to coat my flaky limbs. The light formula just sinks into the skin on application. If you dislike the feel of creamy sticky lotions, then this milky consistency might just be right for you. It is quite soothing on the dry skin and leaves you smelling like a freshly plucked daisy. Two 250ml bottles for £31 are quite decent seeing that a full size 250 ml body milk alone costs £19. 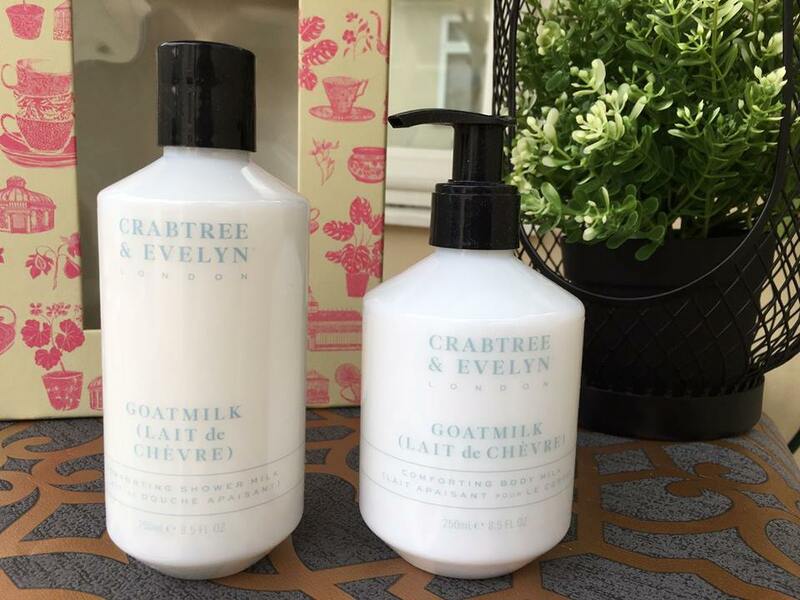 If you love yourself some fancy products, Crabtree & Evelyn’s Goat Milk collection is packed with high-quality goat milk, oat kernel, bisabolol, allantoin and vitamin E to calm and moisturise dry and sensitive skin. Or gift it to your loved ones, if you can manage to detach yourself from these gorgeous sets that is! With only four months to Christmas remaining (I know! Where did 2017 go? ), perhaps start adding it to your present stash?